Bill Weber founded Webco in 1969 with a goal of creating a vibrant company for the ages. His focus began by providing manufacturers of heat exchangers with the highest quality tubing and customer service. From that focused beginning, Bill guided Webco on a mission to create an organization that would eventually become the leading provider of pressure tubing in North America. 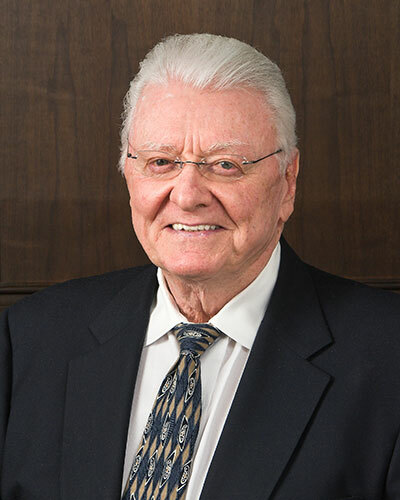 In addition, Bill used his unwavering entrepreneurial spirit to vault Webco to a position of market leadership as a top tier manufacturer in multiple other specialty tubing niche markets, including automotive, energy and industrial applications.Prior to founding the company, Mr. Weber was the Regional Sales Manager for United States Steel Corporation, National Tube Division. Mr. Weber joined U S Steel in 1954, holding a variety of positions in field sales. Prior to joining U S Steel, he worked in purchasing for Columbia Gas Systems and was in the Aviation Cadet Program with the U.S. Army. Mr. Weber received his Bachelor of Science degree from the University of Pittsburgh in 1950 and his MBA from the University of Tulsa in 1963.